When we talk about the Smartphone, we have relied on our life just like we rely on oxygen and electronic products. Naturally, this makes us have the higher demand to the better life of smartphones, and hope they can last longer between charges. However, they are just beautiful wishes. 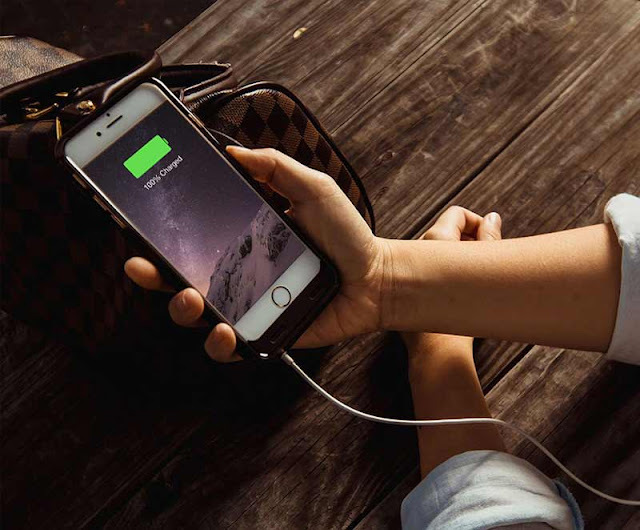 Most of us find our mobile phone and tablet battery draining fast, especially, iPhone and iPad. But the biggest problem we face with our Smartphone (iPhone & iPad) is the battery problem. Today in this article we are going to talk about the 6 tips which will help you save lots of battery on your device at the day end. Most of us turn to hit the power button to check for notifications or the time, but it's easy to forget to hit the power button again to turn the display back off. Making sure Auto-Lock is set to the shortest possible time, which is 30 seconds, will ensure your display isn't using power for longer than necessary. Turning mobile data off will mean your iPhone will still receive calls and texts but it won't be constantly searching for 3G. To do this, head to Settings > Mobile Data and toggle Mobile Data off. Tracking location means your iPhone is constantly using Wi-Fi networks, Bluetooth, and built-in GPS to pinpoint where you are, which obviously will use battery power.